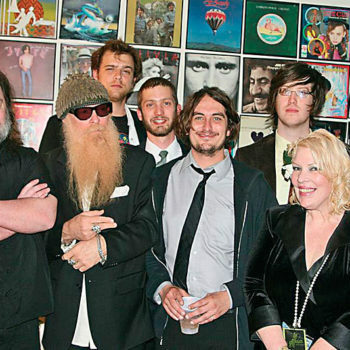 Being “labeled” isn’t such a bad deal for Billy Gibbons and ZZ Top. “ ‘Classic’ includes ‘class,’ ” Gibbons said. “So that’s kind of nice. That would be BFG (Billy F. Gibbons) hot sauces and barbecue sauces (BFGsauces.com) that complement the torrid, smoking brand of blue-rock this Houston, Texas, ”classic-rock” trio has been cooking up for 45 years. No other rock band has remained intact for that amount of time. 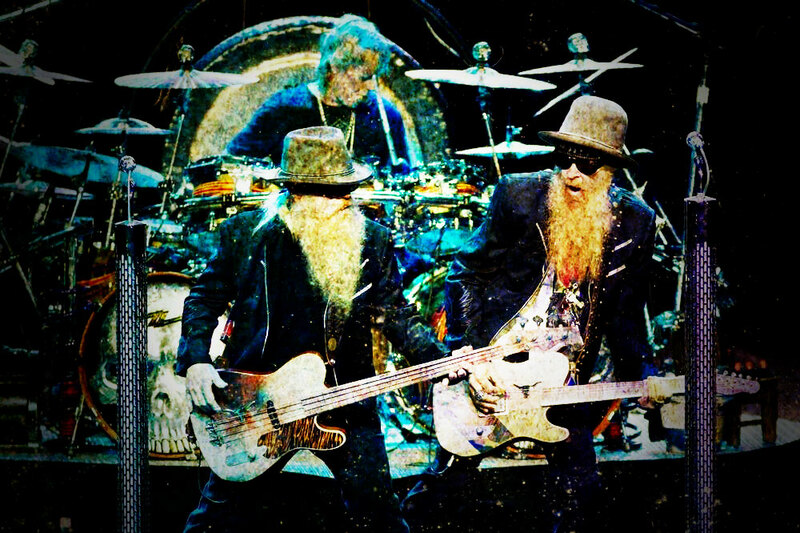 Gibbons and Dusty Hill, both 67, are known globally for their distinctive beards, shades and cowboy hats as much as their deeply-rooted American music with all the labels: Blues; hard-rock; blues-rock; and, well, pure ZZ Top rock. No one else does it like this. Naturally, drummer Frank Beard, 67, doesn’t maintain facial hair. As part of a three-stop Northern California journey, the Rock and Roll Hall of Famers conclude Ironstone Amphitheatre’s eight-concert summer season with a Friday show in Murphys. Kenny Wayne Shepherd, a 39-year-old ZZ Top blues-rock acolyte from Shreveport, Louisiana, and his band open. In addition to the crunching rhythmic stomp, rough-hewn guitar licks and Gibbons’ gruffly grizzled vocals, these guys appreciate (occasionally accentuate) the wry, subtle — often self-deprecating — wit that leavens even the bluesiest blues. ZZ Top, which played at Ironstone in 2014, returns with a new album (No. 25) — “Tonite at Midnight,” a collection of 15 songs from “several piles” of track from world tours that had been overlooked. The Texas trio is the definitive “live” blues-rock band. Of course, such ZZ Top brand names — and guitar riffage — as “Got Me Under Pressure” (New York); “Cheap Sunglasses” (Paris); “Legs” (Sao Paolo, Brazil); “Sharp-Dressed Man” (Los Angeles); “La Grange” (Dallas); “Tube Snake Boogie” (Rome); and “Gimme All Your Lovin’ ” (Houston) are on the set list. Jeff Beck joins them for “Rough Boy” and during an example of the band’s collective sense of humor. After hearing an unnamed group of musicians’ “fake” a “ZZ Top version” of “Sixteen Tons” on YouTube, Gibbons & Co. decided to try and top it. Tennessee Ernie Ford’s (1919-91) No. 1 hit from 1955, written by Merle Travis, never has been rocked and growled like this. Question: When choosing tracks for a live greatest-hits album, what are the key factors? Answer: It’s always been the collective decision by the band. This latest was the unexpected (discovery) of several piles of hard drives that had been gathering over … the recent couple of tours. We immediately took to setting up our famed listening sessions to see what was going down. Lo and behold, there were some interesting variations of some of our tried-and-true songs that prompted gathering up the favorites for this first-ever “live” release. Q: What tracks are your favorites? Any stories to go with them? Jeff Beck added some killer tonality to the performances we did together, “Rough Boy” and “Sixteen Tons.” Jeff said he had always liked “Rough Boy” and, now that the story is out, we all decided to deliver a whacked-out version of “Sixteen Tons,” based on a YouTube hoax — perpetrated by someone we think had too much time on their hands. So the faked version became our instant inspiration to do a real one. True story!